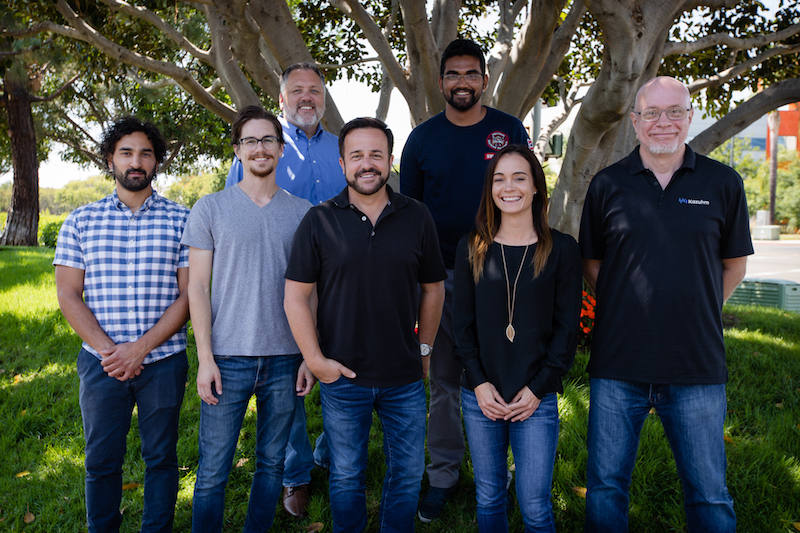 SAN DIEGO – Oct. 16, 2018 – Analytics Ventures, a fund dedicated to creating and building venture companies that harness the power of artificial intelligence technologies, today announced a new addition to its venture portfolio: Kazuhm™, a commercial-grade distributed computing workload platform that empowers organizations to maximize all compute resources—from desktop, to server, to cloud—thereby saving time and money, while improving security. Currently compatible across Windows and Linux operating systems, Kazuhm offers simple, central installation to securely and efficiently recapture unused processing power to boost productivity and minimize unnecessary IT investment. The IT industry has always been driven by a need to innovate. While that approach has undoubtedly served the market well, in recent years it has also led many organizations to overlook opportunity right under their nose, in this case, amongst their on-premise hardware. This has created a scenario whereby systems and technology managers, and their C-suite counterparts, have critically underutilized hardware. Rather than fully tapping into available on-premise resources, they have invested time and money in cloud computing and storage, frequently compromising data and system security. Out-of-control Cloud Costs—According to Gartner and Goldman Sachs, cloud computing costs are expected to reach $72 billion in 2019. Kazuhm allows users to harness their own internal compute resources to process workloads instead of sending them to the cloud, thereby reducing cloud costs. Heightened Demand for HPC—Thanks to the advent of artificial intelligence and expansion of the Internet of Things (IoT), the HPC server market is forecast to grow from $12.4 billion this year, to nearly $20 billion in 2022. Kazuhm helps organizations minimize incremental spend by enabling them to make the most of their on-premise compute assets to efficiently process HPC workloads. Increased Security Risk in the Cloud—Cybersecurity Insiders reports that 91 percent of companies are concerned about cloud security, and 18 percent have identified a cloud security incident in the last 12 months. Because Kazuhm enables data to be processed on an organization’s own desktops and servers within their own facility, data, and valuable IP never leave the premises and are therefore more secure. The fully-connected compute ecosystem activated by Kazuhm puts control back in the hands of IT managers and leaders. Easily and centrally installed, it allows organizations worldwide to process workloads at a fraction of the cost, with increased agility and higher security. Kazuhm can be implemented across any number and type of corporate nodes into an organization’s on-premise hardware infrastructure in an easy and centralized manner. Organizations interested in using Kazuhm may visit http://www.kazuhm.com to learn more. Founded on the belief that the application of cloud computing has become out of control, Kazuhm considers its mission to create awareness in the IT community that it is time to become smarter how the cloud is being used as a function of the entire compute ecosystem. As such, Kazuhm has also launched an industry platform called GetYourHeadOutofTheCloud.com to help educate and bring together IT professionals for healthy discussions about all topics related to a more balanced utilization of cloud computing. Users have the ability to join the “Cloud Busters,” a group of IT experts becoming active for the cause. Kazuhm is a next generation workload optimization platform that empowers companies to maximize all compute resources from desktop to server, to cloud. Founded with a belief that organizations have become too dependent on cloud computing, while disregarding the untapped resources that already exist within their organizations today, Kazuhm securely and efficiently recaptures unused processing power to boost productivity and minimize unnecessary IT investment. As the first fully-connected, commercial grade compute ecosystem, it allows organizations worldwide to process workloads at a fraction of the cost. Global IT managers and leaders have adopted Kazuhm’s easy, centralized install process that puts resource control back into their hands. Learn more at www.kazuhm.com. Analytics Ventures is a venture studio fund providing front-to-end infrastructure to ideate, form, launch and fund brand new companies in artificial intelligence (AI). With its own in-house AI lab, technology, back-office, and marketing setup, Analytics Ventures takes companies from formation to public launch in as little as six months. Supported by a large network of corporate and academic partnerships, as well as other venture funds, Analytics Ventures has launched leading AI ventures ranging from financial services, to healthcare, advertising and more. To learn more about Analytics Ventures, visit www.analytics-ventures.com.